Will Medicaid Cuts Decrease Treatment Options? Opioid addiction is a growing problem in the United States. From 1999 to 2017, whether from prescription drugs or from illicit opioids like heroin, 700,000 people have died from an opioid overdose. 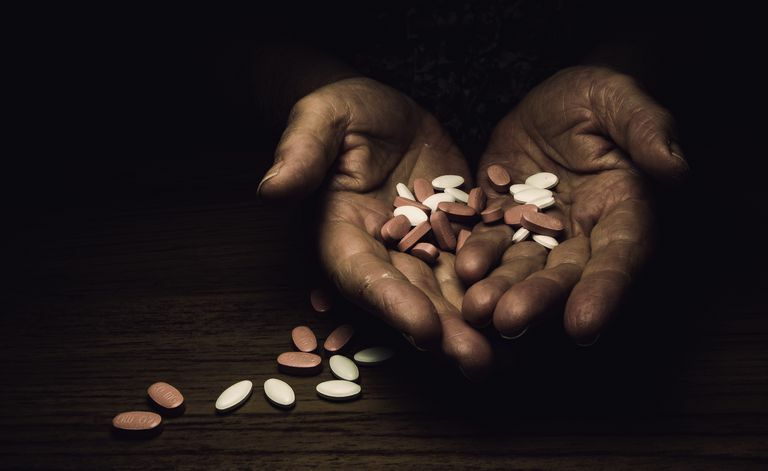 The Centers for Medicare and Medicaid Services (CMS) report that 130 people die every day from opioid abuse, putting us on track for 46,280 deaths in 2019. Medicaid plays a major role in the treatment of addiction. With one in five Americans relying on Medicaid for their healthcare needs, what services does the program offer and will those services continue if the Republican party succeeds in repealing the Affordable Care Act, aka Obamacare? Opioid abuse is not only a state problem. It is a national problem. Overdose deaths rose from coast to coast in 2014. Ohio and California suffered the most with more than 2,000 opioid-related deaths each, while New York, Florida, Illinois, Texas, Massachusetts, Pennsylvania, and Michigan each had more than 1,000 overdose deaths reported. Just as opioid abuse is not regional, Medicaid is not limited to the states. Medicaid, while technically managed by the states, is partially funded by federal dollars. The federal government sets the minimum standards for who is eligible for Medicaid and what basic coverage must be included in the program. In 2017, the American Health Care Act, as it was named in the U.S. House of Representatives, proposed a major overhaul to the Medicaid program that would cut funding and change what essential health benefits - including mental health services and addiction treatments - were covered by the program. The bill, later referred to as the Better Care Reconciliation Act, did not pass a vote in the U.S. Senate. Now, the Trump administration is targeting Medicaid again, proposing cuts to its funding in the FY 2020 budget. The Affordable Care Act required that states participating in Medicaid expansion cover substance use disorder treatment. However, the law offered flexibility and allowed each state to decide which individual services they wanted to reimburse. A study in Health Affairs assessed states coverage for addiction from 2015 to 2016. Interestingly, the researchers found that coverage was not necessarily higher in states that had Medicaid expansion. Thirteen states and the District of Columbia covered all services, and 26 states covered at least one service at each level of treatment. Nine states did not provide Medicaid coverage for any substance abuse care in two or more levels of treatment. However, offering these services did not mean they were easy to access. Nearly half of the states required a type of pre-approval process called a prior authorization before they would pay for intensive inpatient care. Nine states added a cap on how much could be spent on addiction recovery services. Buprenorphine: Buprenorphine tends to be preferred as therapy because it lasts longest in the body. It prevents the euphoric effect that opiates usually trigger, and it has a half-life ranging from 24 to 42 hours. Methadone: Methadone is a synthetic opiate that helps to decrease cravings. However, like other opioids, it can cause physical dependence. Methadone is often used as maintenance therapy and may be weaned off over time. Its half-life is variable, ranging from 8 to 59 hours. Naltrexone: Naltrexone is intended to decrease opioid cravings and in some cases is even used to treat alcohol addiction. The half-life is 4 to 13 hours. The Health Affairs study showed that every state and the District of Columbia covered buprenorphine, and forty-eight states covered naltrexone. Coverage for methadone, however, was less consistent. Only 32 states included coverage for methadone in their Medicaid programs. Similar to counseling and inpatient services, prior authorization played a role in medication coverage. Most states required prior authorization for buprenorphine while a third of them required copays. It is disconcerting when you think about it. People seeking help for opioid addiction are denied quick access to treatment when they need it most. Delays in treatment are the very thing that could lead them to relapse. Expecting Medicaid to fix a national epidemic is not realistic, not if funding to the program is cut. Unfortunately, that is what may happen. The FY 2020 budget proposed by the GOP calls for spending cuts to Medicaid by $1.5 trillion over 10 years. It would also transition away from traditional federal funding which currently matches state Medicaid spending dollar for dollar. Instead, the government would turn to block grants or per capita payments to fund the program starting in 2021. That is to say, each state would receive a fixed dollar amount from the government based on the number of individuals on Medicaid in that state. States with Medicaid expansion would perhaps be hit hardest. The FY 2020 budget as it stands would eliminate funding for Medicaid expansion under the Affordable Care Act. As noted above, these states were required to provide substance abuse treatment as part of their expansion agreement. If the FY 2020 budget passes, this will put a significant burden on the states to find alternative funding when their own state budgets are already limited. It is expected that many states will need to cut Medicaid services in order to stay afloat. Sadly, mental health services and addiction treatment may be the first to go. There is no question that Medicaid cuts would decrease access to mental health services. Changes in what each state can afford to cover will affect what services you will receive and will make it harder for those struggling with addiction to get the help they need. A Budget for a Better America - President's Budget FY 2020. Office of Budget and Management. https://www.whitehouse.gov/omb/budget/. Published March 2019. Injury Prevention & Control: Opioid Overdose - Understanding the Epidemic. Centers for Disease Control and Prevention. https://www.cdc.gov/drugoverdose/epidemic/index.html. Updated December 19, 2018. Rodriguez CH. Medicaid Coverage For Addiction Treatment Varies Dramatically. Kaiser Health News. http://khn.org/news/medicaid-coverage-for-addiction-treatment-varies-dramatically/. Published December 6, 2016.